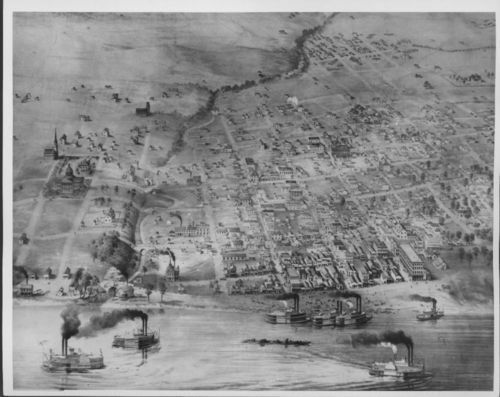 A lithograph of Leavenworth, Kansas Territory looking west. The city of Leavenworth, was founded in 1854 along the Missouri River in northeastern Kansas in present day Leavenworth County. The city and the county are named after Colonel Henry Leavenworth, who in 1827, helped establish the Army post at Fort Leavenworth, Kansas.